2017 marks a major milestone for the TenAsys® flagship INtime® real-time operating system: it's celebrating 20 years of commercial deployments. In 1997, INtime for Windows 1.0 picked up on the embedded virtualization initiative started with DOSRMX and iRMX for Windows, running multiple software workloads on a single computer. Thus TenAsys’ presence at the Embedded World 2017 show is packed with many enhancements and new services providing for greater portability, productivity, performance and security. 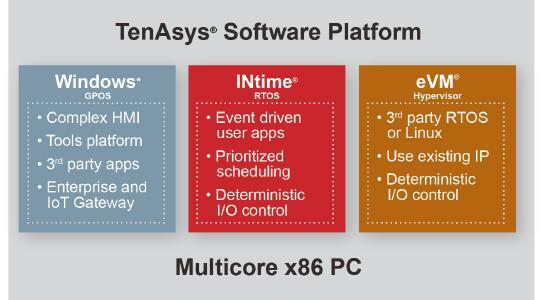 Significant advances in hardware offerings addressing the effectiveness of x86 platforms to be used in embedded applications, combined with the multicore initiative and substantial software enhancements, have made the INtime RTOS environment a well-known and trusted platform all around the world. 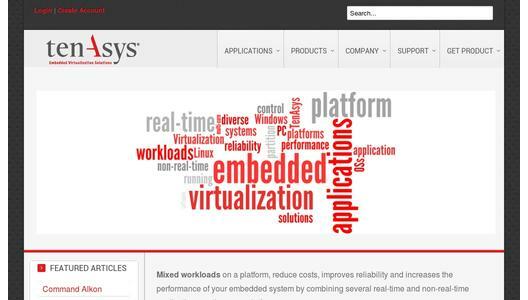 Presenting this at Embedded World 2017 in Nuremberg, Germany, from 14th to 16th September, real-time virtualization expert, TenAsys Corporation, shows its experience and know-how within a growing market. The INtime RTOS has undergone a significant, fundamental update to include a 64-bit interface of the physical memory management service. 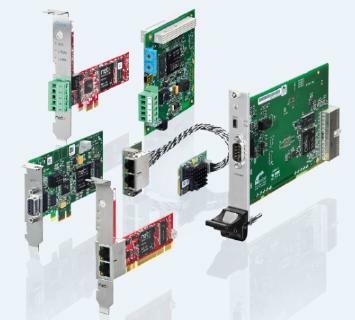 This enables full access of PC system memory to all INtime nodes while maintaining application compatibility, ensuring customer’s proven IP can be used without requiring porting or rebuilding. Address extension services are managed at the process level, providing up to 4GB of physical memory to each process, regardless of the number of nodes and processes used throughout the system. Additional performance advancements now include the use of Cache Allocation Technology (CAT) of selected Intel® processor SKUs. Making use of this feature of the Intel Resource Director Technology (RDT) directly controls L2/L3 cache class of service (CLOS) providing better isolation between multiple workloads, while improving the worst case thread jitter of real-time applications. Overall architecture support is extended to include all latest Kaby Lake, Apollo Lake and additional Skylake CPUs from Intel. Having nearly unlimited memory, cores and independence of workloads in the INtime environment is greatly enhanced by the support for C++11, made available through Visual Studio 2015 and soon to be released for Visual Studio 2017. The new C++11 compliant library provides for greater portability as validated by Google Protocol Buffers and Boost C++ Libraries. Sample Google Protocol Buffers for the INtime RTOS is available on request. Boost C++ Libraries, 80 some to date, will be distributed through the boost.org for INtime, with the initial INtime version supporting it being available soon. Coming soon within the standard distribution of the INtime Software Development Kit (SDK) is our plugin for Intel’s VTune™ Amplifier performance profiler. This powerful dynamic analysis tool is key to understanding how your application is being affected by the underlying processor architecture and guiding you to where code optimization may lead to significant performance gains. For networked real-time systems, INtime has now integrated wolfSSL services for securing communications of the INtime Global Objects network (GOBSnet) from undesirable monitoring and open access. 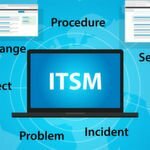 Use of wolfSSL is seamlessly integrated with the INtime networking stack providing standards SSL/TLS certificate driven encryption services. Visual Studio 2017 and VTune plugins, wolfSLL and Boost C++ Library support will be standard features, available soon. Other features and functionality mentioned above are already available to new and existing customers who subscribe for the INtime SDK maintenance, and can be downloaded from our website at any time. Real-time virtualization expert, TenAsys Corporation, specializes in real-time operating system software for the embedded computer industry, designed and optimized for the Intel x86 platforms, using the Visual Studio development environment.